The Greatest Inventor of All Time . . . Flint Lockwood! The much-anticipated sequel to Cloudy with a Chance of Meatballs hits theaters on September 27, 2013! 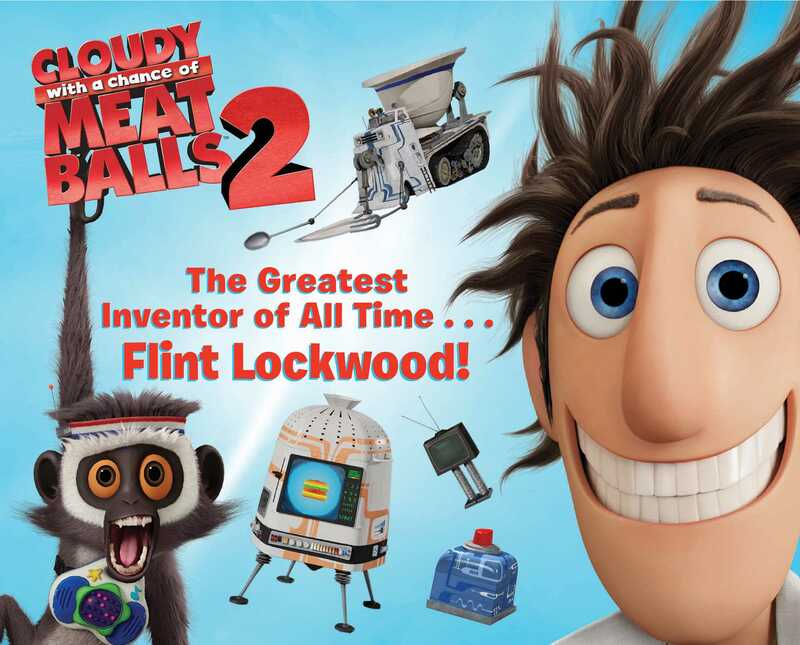 Celebrate the magnificent mind of Flint Lockwood with this must-have for fans of the Cloudy with a Chance of Meatballs 2 movie. Flint Lockwood has come up with a ton of amazing inventions over the years. See Flint finally get the recognition he deserves in this story that chronicles his earliest innovations (Spray-on shoes, Ratbirds, Monkey Thought Translators) as well as more recent creations like the FLDSMDFR, the Freezerator, the Celebrationator, and the Grocery Deliverator. Dream, explore, and get inspired! TM & © 2013 Sony Pictures Animation Inc. All Rights Reserved. Book Cover Image (jpg): The Greatest Inventor of All Time . . . Flint Lockwood!